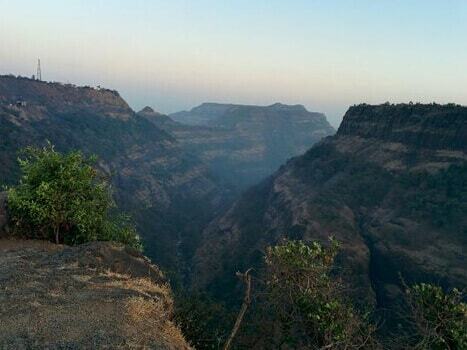 When it comes to Khandala, there are plenty of sightseeing points that the tourists can delve into. Amongst all, one place that no one afford to miss is the Shooting Point. Located in the Bazaar peth of the town, this point is home to St. Mary’s Villa. Hike or drive up to this incredible vantage point, from where one can cherish the bird’s eye view of the famous Rajmachi Fort and wooded valley flowing below. There are many films that has used this amazing location for shooting, that’s how it has got its name and became famous as the Shooting Point of Khandala. The pleasant climatic conditions, shrubby rock cliffs, gushing waterfalls making way to the valleys and cloudy sky, invite the nature lovers and photo fanatics to capture this immense charm in their lenses. The beauty of this place is at its peak during the sunrise time, when the silent night wakes up with sweet chirping of the colorful birds, when the sun rays penetrate through the cloudy sky. It is an amazing sight that can be cherished for a lifetime. Blessed with plethora of viewpoints, there is Lion’s point, Tiger’s Leap and Reversing Station situated near Shooting Point, that can delight you with its picturesque ambience. Apart from this, the Kune Waterfalls, Narayani Dham Temple and Rajmachi Fort are few tourists hotspots that are closest to this charming place.